Supreme Court today rejected the plea by Sahara chief Subrata Roy challenging its March 4 order detaining him for not complying with the order to return investors money by routing it through SEBI. 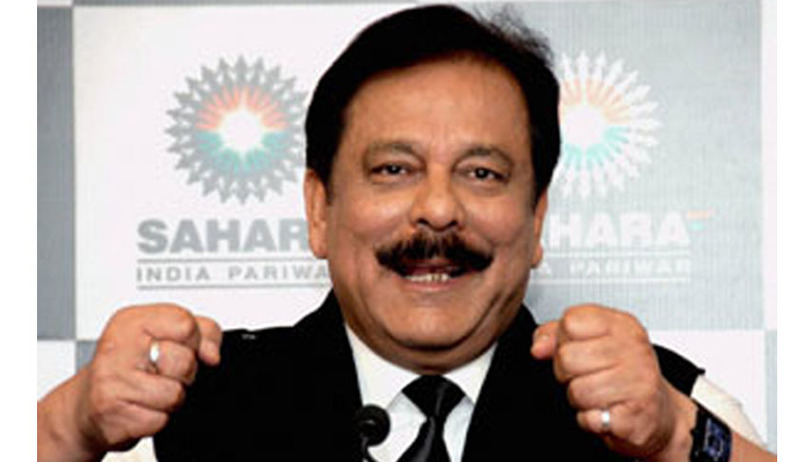 Subrata Roy filed a Writ Petition (WP (Crl) NO. 57 OF 2014) praying for a declaration that the order dated 4.3.2014 as null and void and for his release from the Judicial Custody. Bench Comprising of Justice K.S. Radhakrishnan and Justice J.S. Khehar found no merit and dismissed the petition. Roy and two Directors were sent to judicial custody for failure of group's two companies' SIRECL and SHICL to comply with its order to return investors' Rs.24,000 crore that they had collected through Optionally Fully Convertible Debentures (OFCDs). Roy will continue to remain in custody as the court has directed his counsel to make a revised proposal to return investors' money to secure his release, Court observed when senior counsel Rajiv Dhawan drew the attention of the court to Roy' earlier proposal to deposit Rs.10,000 crore. Of the Rs.24,000 crore, Sahara India Real estate Corporation Limited and Sahara Housing Investment Corporation Limited have already deposited Rs.5,120 crore in December 2012 with SEBI. Earlier, Senior Counsel Ram Jethmalani who appeared for the petitioner told to the Court that it would be embarrassing for him to canvass the submissions which he is bound to raise in the matter before the Court and hearing this matter would also discomfort and embarrass the Bench as well. He therefore suggested the Bench to recuse themselves from hearing the case. Read Live Law Report here. Mr. Arvind Datar, Senior Counsel who appeared for the respondents requested the Bench not to withdraw themselves from hearing the case. He has contented that the Writ Petition was not maintainable, either under the provisions of the Constitution of India, or under any other law of the land. Counsels for the petitioner argued that the March 4 order was a complete nullity and it was the duty of this court to terminate this unlawful detention and release the petitioner forthwith. Rejecting these arguments, the Bench said the March 4 order was only to ensure compliance of the direction to repay Rs. 20,000 crores to the depositors and it was not passed on the contempt petition, which was still pending adjudication. “The submission advanced by Mr. Ram Jethmalani, learned Senior Counsel asserting the maintainability of the instant petition under the maxim of ex debito justitiae, expressly recognized by this Court in A.R.Antulay v. R.S. Nayak, (1988) 2 SCC 602, is held to be devoid of any merit, consequent upon a detailed analysis of the judgment relied upon. The contention advanced by Mr. C.A. Sundaram, learned Senior Counsel for the petitioner, projecting the maintainability of the instant petition under Article 32 read with Article 21 of the Constitution of India, has been found to be unacceptable in law on the basis of a series of judgments rendered by this Court. The submission advanced by Dr. Rajeev Dhawan, learned Senior Counsel representing the petitioner, supporting the maintainability of the instant petition by placing collective reliance on Articles 129 and 142 of the Constitution of India, has also been found to be ill-founded”. “For the reasons recorded hereinabove, we find no merit in the present petition, and the same is accordingly dismissed”. The Indian judicial system is grossly afflicted, with frivolous litigation. Ways and means need to be evolved, to deter litigants from their compulsive obsession, towards senseless and ill-considered claims. One needs to keep in mind that in the process of litigation, there is an innocent sufferer on the other side, of every irresponsible and senseless claim. He suffers long drawn anxious periods of nervousness and restlessness, whilst the litigation is pending, without any fault on his part. He pays for the litigation, from out of his savings (or out of his borrowings), worrying that the other side may trick him into defeat, for no fault of his. He spends invaluable time briefing counsel and preparing them for his claim. Time which he should have spent at work, or with his family, is lost, for no fault of his. Should a litigant not be compensated for, what he has lost, for no fault? The suggestion to the legislature is, that a litigant who has succeeded, must be compensated by the one, who has lost. The suggestion to the legislature is to formulate a mechanism, that anyone who initiates and continues litigation senselessly, pays for the same. It is suggested that the legislature should consider the introduction of a “Code of Compulsory Costs”.